Create a unique look by custom framing using two different frame moldings. Don’t be afraid to mix different looks. 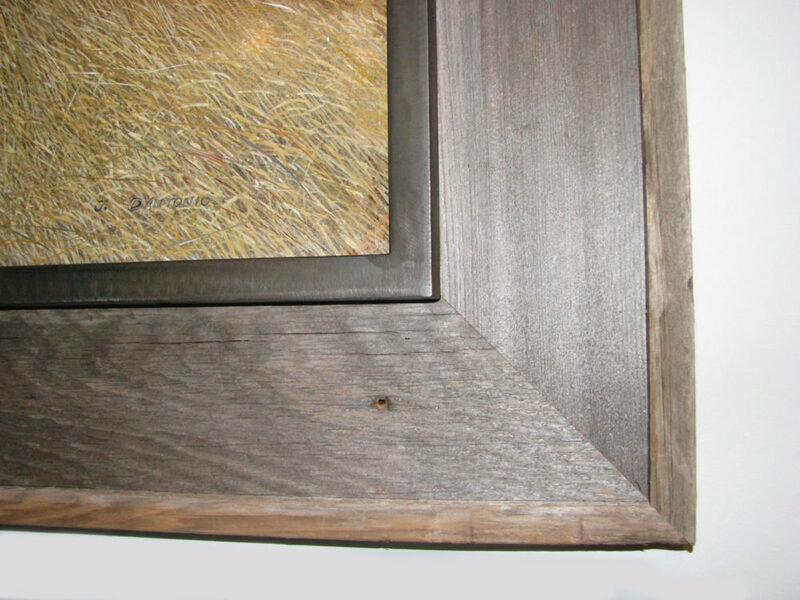 We combined an industrial looking metal frame with a rustic wooden frame. 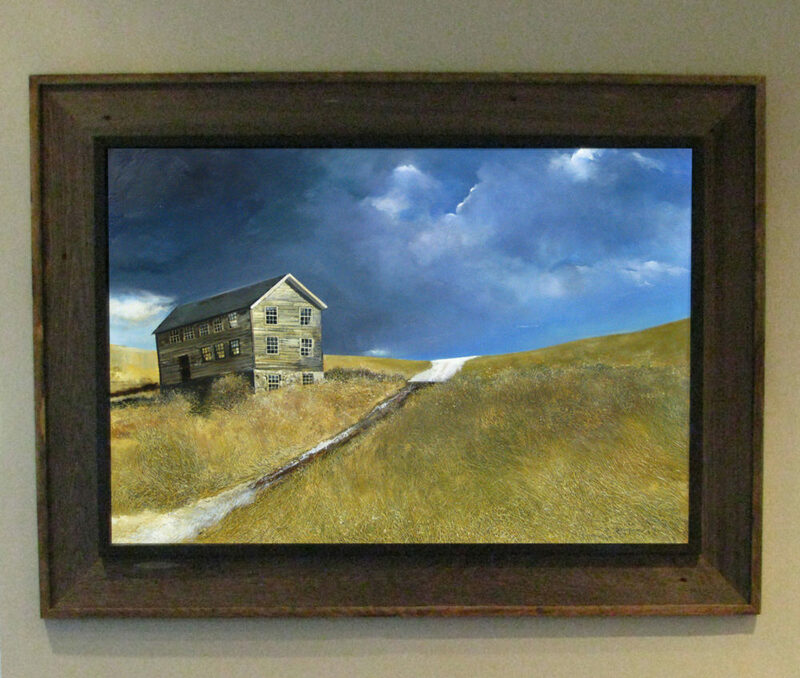 The result is truly a custom frame that perfectly complements this landscape by D’Antonio.